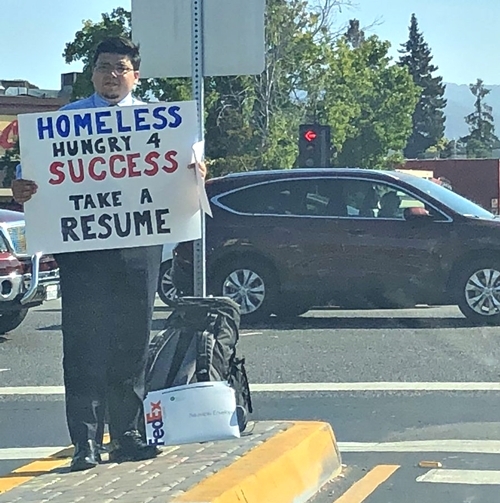 Speaking on his decision to carry a cardboard and hand out a stack of his resume, he said: “It was basically a make-or-break moment. I wanted to keep my head up high, keep looking forward and see what opportunity would come next. According to the New York Post, after he had been standing on the high way median for some hours, a driver stopped and asked if she could take his picture and post it online and Casarez agreed.